I joined Governor Charlie Baker, Senator Mark Montigny (D- New Bedford), Representative Lori Ehrlich (D- Marblehead), and other supporters of Senate Bill 2369, An Act Preventing Animal Suffering and Death at an outdoor State House bill signing ceremony. As a consistent champion of animal welfare legislation on Beacon Hill and a co-sponsor of the legislation, I think the signing of this bill sends a clear message that action can and should be taken to protect animals at risk from exposure to extreme temperatures. Too many times in the past, people have been left wondering what to do as an animal suffers in a locked car. Now there's a definitive answer backed by the protections of this law. • Restrict dog tethering or leaving a dog outdoors in extreme weather or when a weather advisory, warning or watch is issued, • Allow citizens and officers to free animals confined in a locked car after making reasonable efforts to locate the vehicle’s owner, • Set penalties, up to $500, and possible criminal animal cruelty charges for owners who neglect animals in vehicles, • Provide immunity from criminal or civil liability for those who take actions to release a trapped animal. 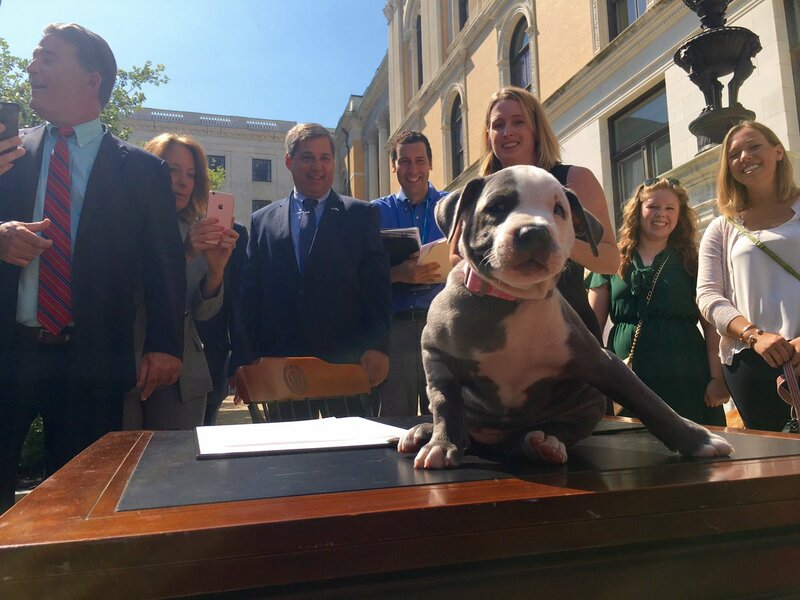 In the past several years the legislature has taken major steps to strengthen our animal welfare laws. We still have work to do, but there should be no doubt about our commitment to doing it.